The Sagamok Fitness Centre opened its doors at its new location at 512 Cedar Street on July 10, 2017. It is located downstairs while the Young Warriors Youth Centre is located upstairs. 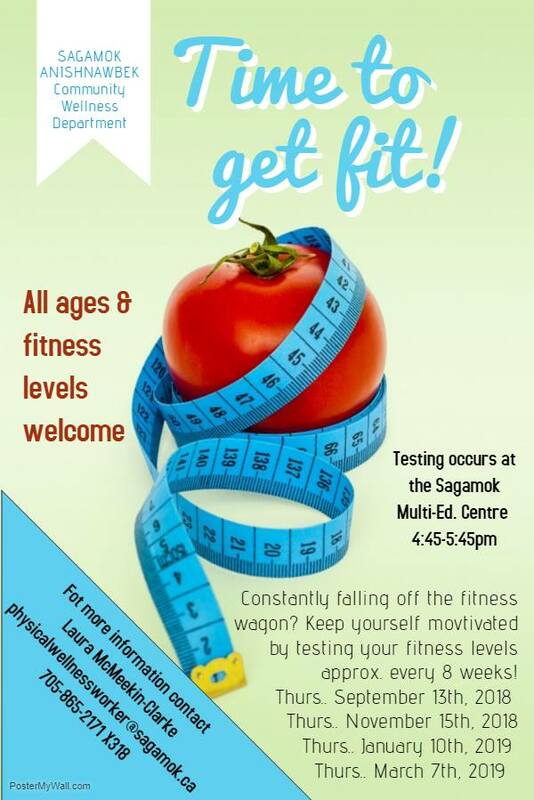 Work on your fitness goals at your own pace and convenience at the Sagamok Fitness Centre! Purchase a swipe card for all hours access! We've got exciting news to tell you about! New swipe cards give our members Convenient Access to our Fitness Centre! Getting fit has never been easier or more accessible! Community members can now purchase a swipe card to allow access to the Sagamok Fitness Centre. Purchasing a swipe card for a one-time fee of $50 will allow community members to have access to the Fitness Centre between the hours of 5am-11pm. Swipe cards may be purchased by individuals who are at least 18 years of age. 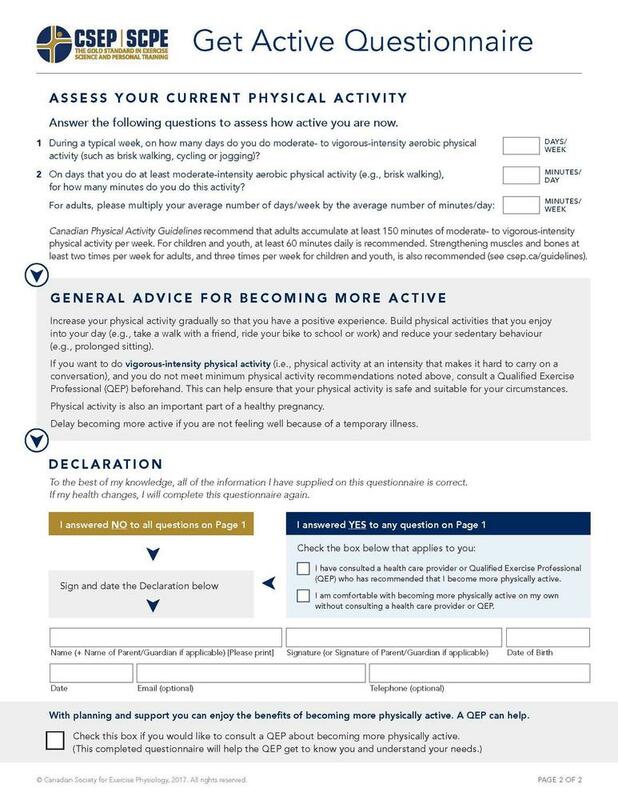 Community members may purchase a swipe card by visiting the Main Administration building to make their $50 payment and completing a Fitness Centre Registration Package – make sure to attach the receipt for the $50! 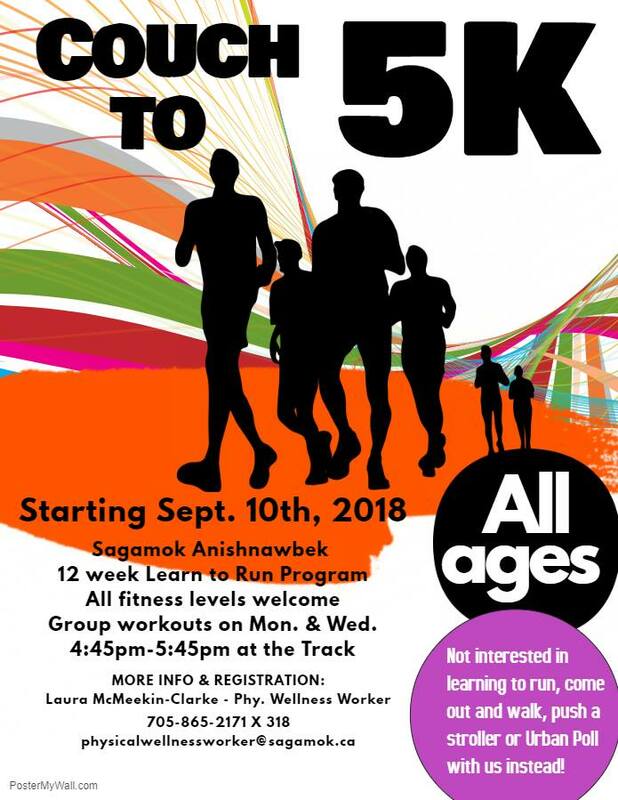 Once the Fitness Centre Registration Package and receipt are received at Sagamok Naandwedjige-Gamik, applicants will be contacted once their swipe card is ready for pickup. WIFI is now available! Ask a staff member or volunteer for the password! For your viewing pleasure, we now have smart TVs and satellite! We now have a doorbell so if you don't want to register for a swipe card, you can still access our Fitness Centre during regular posted hours when a volunteer or staff member is there. Just ring the doorbell and you will be let in. Please refrain from bringing oranges, peanuts, shellfish and pineapples, as well as any products that include any of these foods in their ingredients. Monthly (Friday) from 10:30am - 12:00pm (at Venture Lanes Bowling Alley in Espanola) followed by lunch (determined by group) from 12:00pm - 1:00pm. 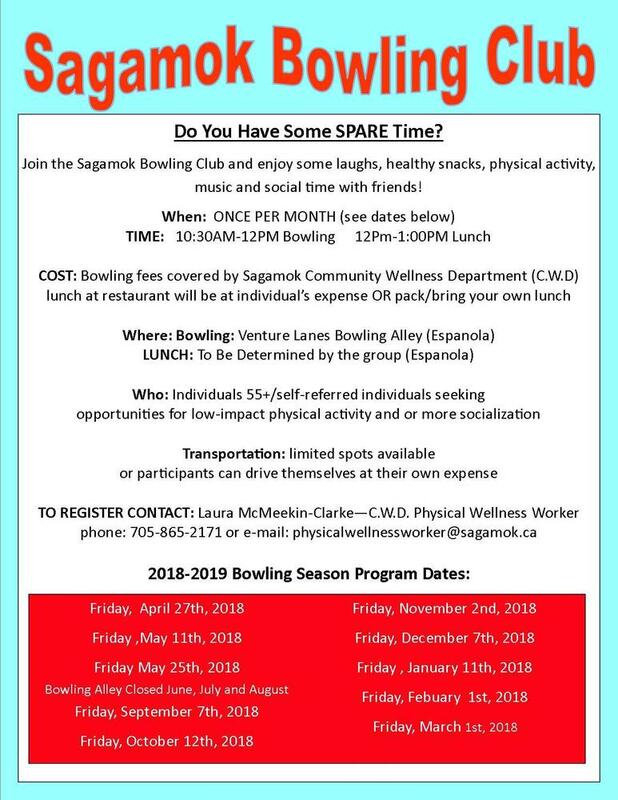 Join the Sagamok Bowling Club and enjoy some laughs, healthy snacks, physical activity, music and social time with friends. This is for individuals who are ages 55+ or who are self-referred and seeking opportunities for low-impact physical activity and more socialization. Cost: Bowling fees are covered by Sagamok Naandwedjige-Gamik. Individuals are responsible for their own lunch costs at the group’s restaurant of choice or they may opt to bring their own lunch. There are limited transportation spots available but anyone can travel at their own expense. (Thursday) from 4:45-5:45pm at the Multi-Educational Centre. Constantly falling off the fitness wagon? Keep yourself motivated by testing your fitness levels every 8 weeks! on Mondays & Wednesdays from 4:45pm – 5:45pm at the Multi-Educational Centre Track. This is a 12 week Learn to Run Program that is open to all ages and all fitness levels. Even if you’re not interested in learning to run, come out and walk, push a stroller or Urban Poll with us instead! at Chi-Nishinawbe M'gizi Wigwam (Elders Eagle Lodge) West Wing. 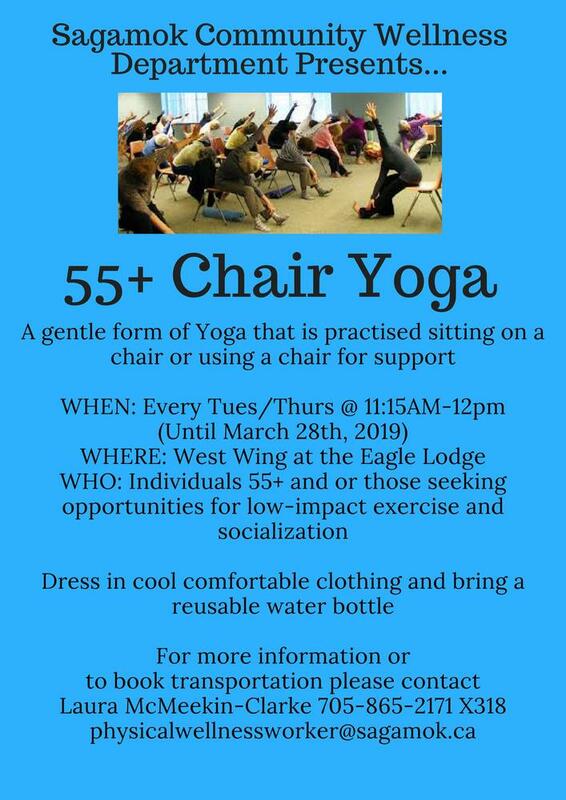 Chair Yoga is a gentle form of Yoga that is practiced sitting on a chair or using a chair for support. This program is for individuals who are ages 55+ or who are self-referred and seeking opportunities for low-impact physical activity and more socialization. Dress in cool, comfortable clothing and bring a reusable water bottle. 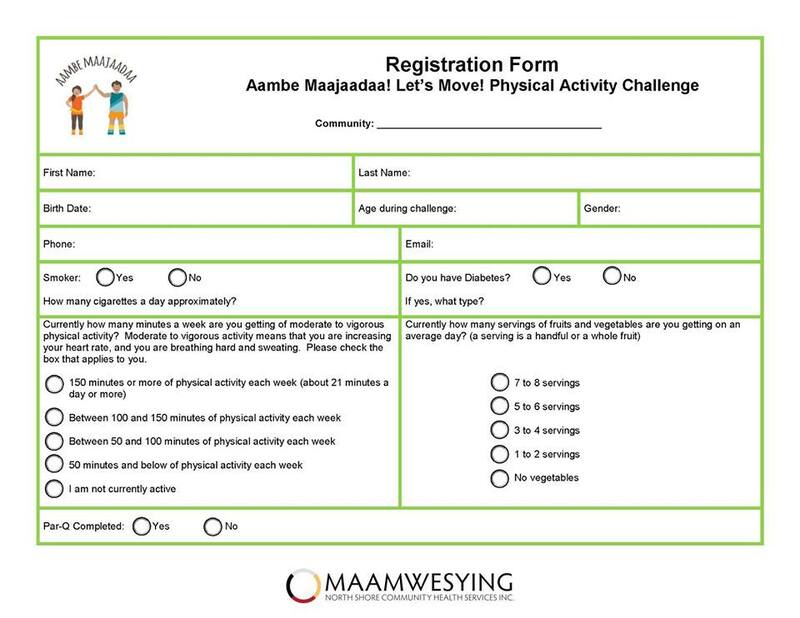 Aambe Maajaadaa Let’s Move Physical Activity Challenge! Aambe Maajaadaa! Is a 6-week challenge for youth (ages 12-17) and adults (ages 18+). For health benefits, adults should be getting a minimum of 150 minutes of moderate to physical activity a week and youth should be getting an hour a day of moderate to vigorous physical activity. 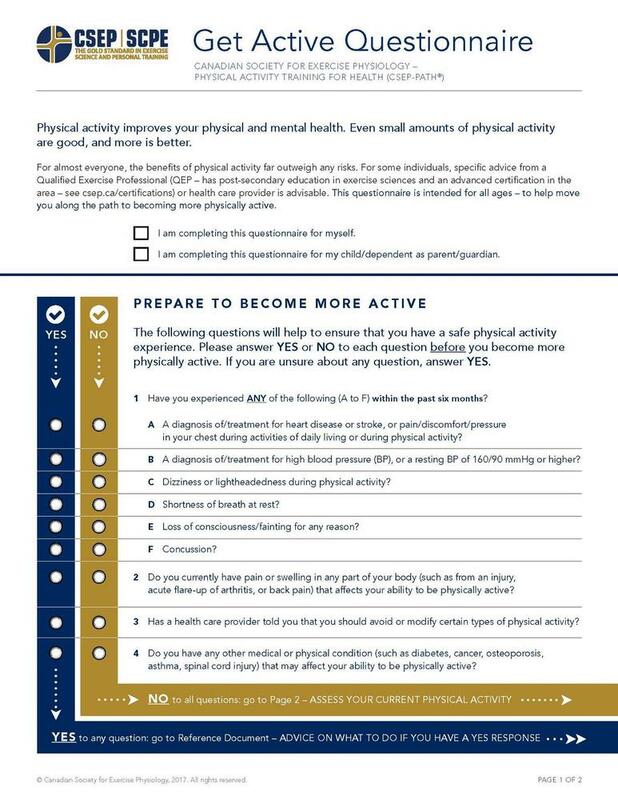 Participants track their physical activity on a tracking sheet and at the end of the challenge, submit their completed tracking sheets for a chance to win. 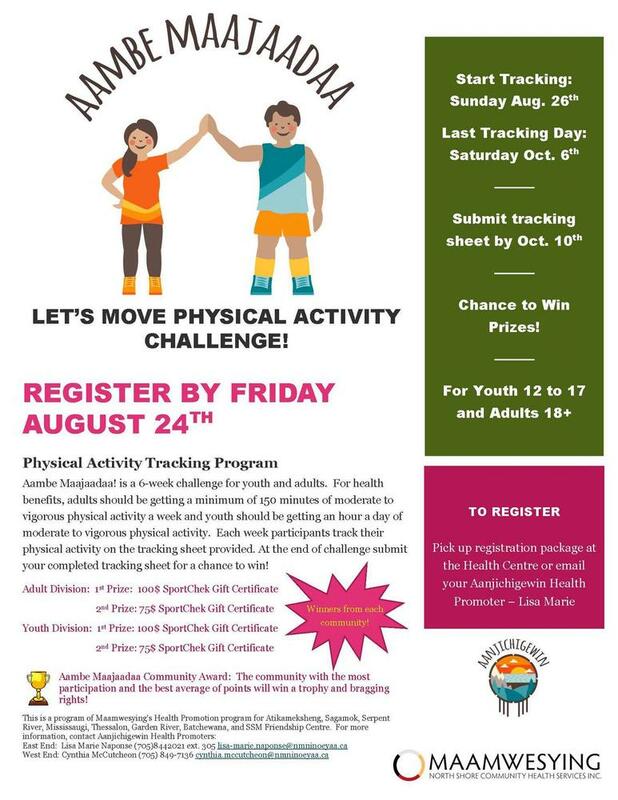 There is a challenge division for both adults and youth with 1st prize in each division awarded a $100 SportChek Gift Certificate and 2nd prize awarded a $75 SportChek Gift Certificate. Participants start tracking on Sunday, August 26 and end on Saturday, October 6. Tracking sheets must be submitted by Wednesday, October 10. 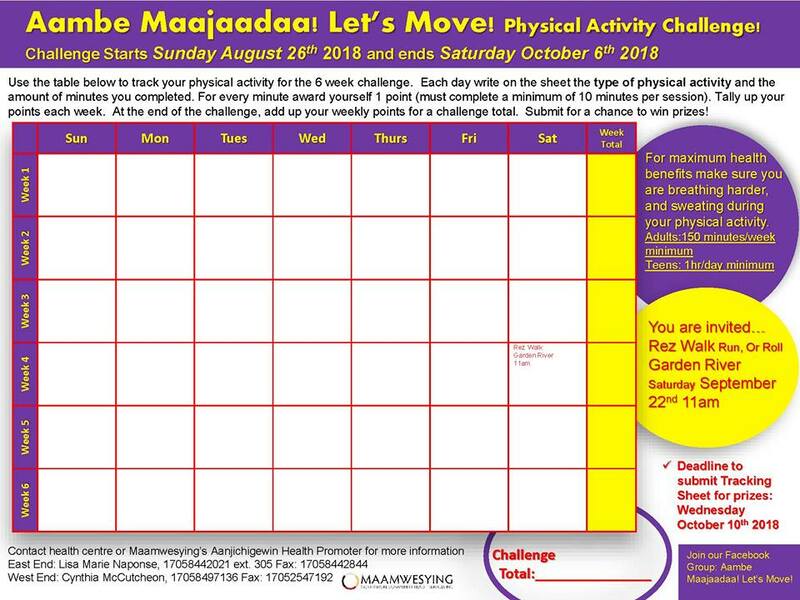 Aambe Maajaadaa is a Maamwesying Health Promotion program. The community with the most participation and the best average of points will win a trophy and bragging rights! 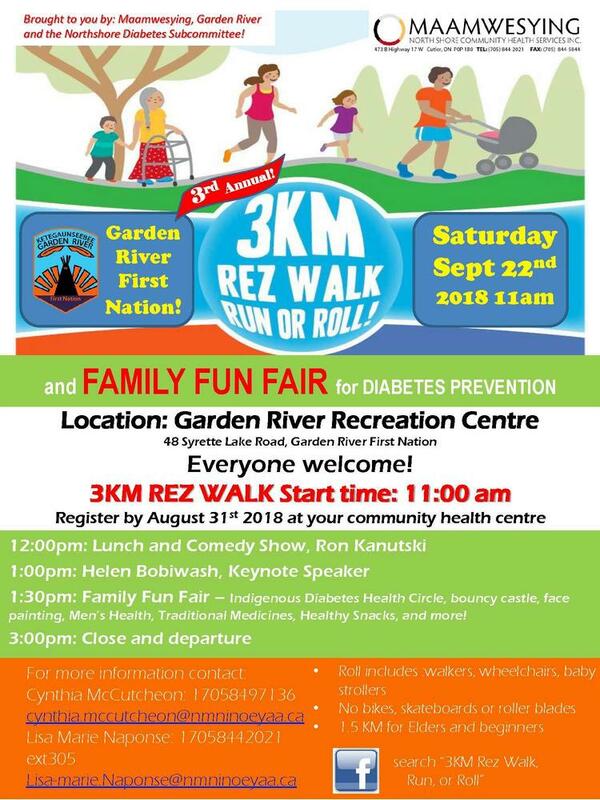 3rd Annual 3KM REZ WALK RUN OR ROLL and FAMILY FUN FAIR for Diabetes Prevention starting at 11:00am at the Garden River Recreation Centre (48 Syrette Lake Road, Garden River First Nation). 1:30pm Family Fun Fair – Indigenous Diabetes Health Circle, bouncy castle, face painting, Men’s Health, Traditional Medicines, Healthy Snacks and more! *Roll includes walkers, wheelchairs, baby strollers.